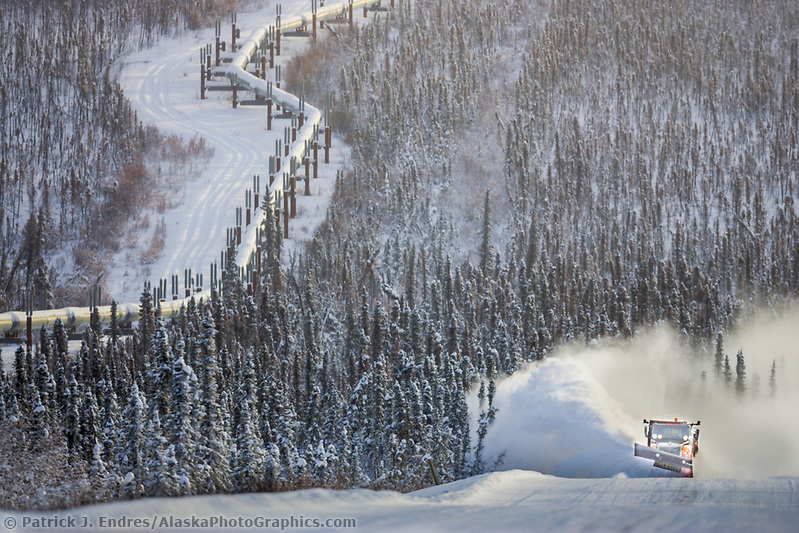 Alaska winter photos and what it is like to live in the far north. 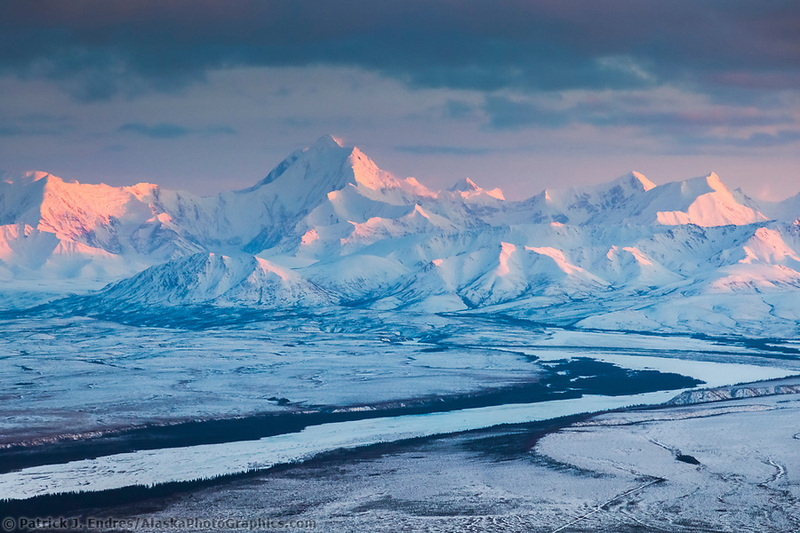 Cloaked in blankets of white snow and days of little sunshine, winter is a long season in Alaska. In the two most populated areas, snow generally is present from late October through early April. 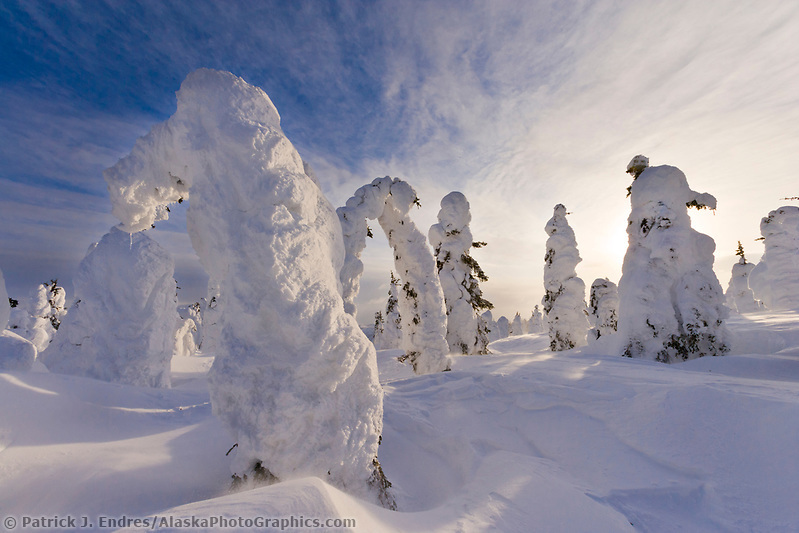 Alaska’s second largest town, Fairbanks, will reach temperatures of -50 Fahrenheit nearly every winter. Snowfall throughout the state varies significantly and some mountainous regions receive 1000 inches per year. 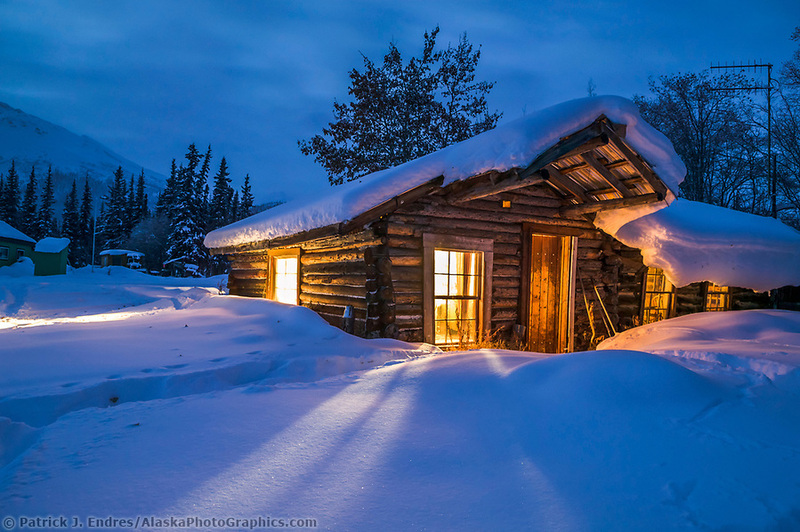 Winter is a magical time of year, and to live in Alaska and enjoy it, you need to like winter. All Alaska winter photos on this site may be licensed as stock photography or purchase as fine art prints for your home or office. Browse the links on this page or enter your own keyword in the search box. The aurora borealis, although not strictly a winter phenomenon, is often associated with winter because Alaska’s nightless summer skies prevent one from seeing both the stars and the aurora. 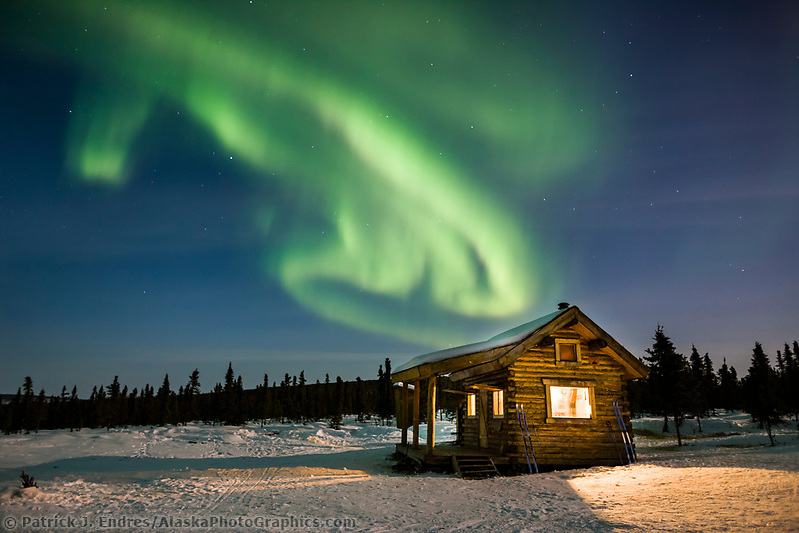 Many travel to Fairbanks to view the northern lights, due to its latitude, which situates it in a prime spot for viewing the mysterious and heavenly aurora. Green glows and arcs are by far the most common color of the auroral displays, but violets, blues and sometimes deep reds are observed when the solar wind activity is particularly high. The UAF Geophysical Institute offers and aurora forecast website which forecasts potential auroral activity. 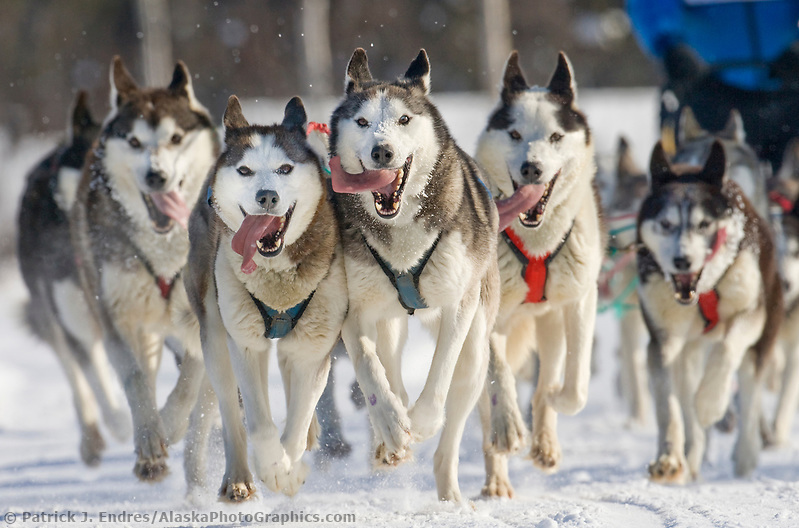 Dog sledding has an important history in Alaska and is celebrated throughout the winter. In the past, the native Alaskans in rural villages traveled by dog sled and still do to this day, although it is not uncommon to see snowmobiles, cars, and trucks. Each year, nearly 100 mushers from all over the world compete in the Iditarod, a dog sled race from Anchorage to Nome. This 1100 mile race is a tribute to a life saving run on the same trail in 1925. Countless Nome children were sick with the disease diphtheria, and the only way to get the serum to Nome was via dogsled. 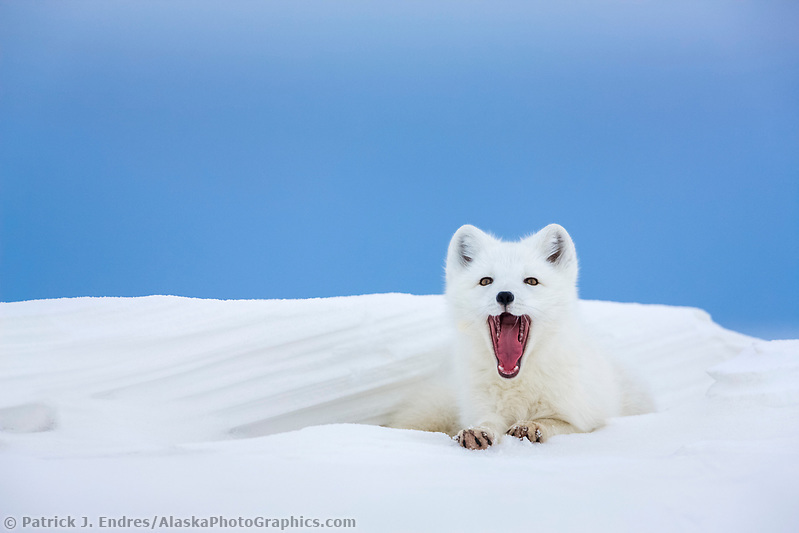 Many animals of Arctic prepare themselves for the harsh winter in different ways. For some, the summer-long season of consuming food has provided them the necessary nourishment for a long winter hibernation. For others, however, they adapt to winter in different ways. One common change observed among Ptarmigan, Snowshoe hares, Arctic foxes and Short-tailed weasels is a change in color to their coat. This is referred to as cryptic, or camouflage. It helps a prey species conceal itself among the white snow and thereby find some safety from the many predators seeking to also survive a harsh winter. Snow crystals are born in the clouds when water vapor freezes on a particle of dust, a floating bit of bacteria, or another solid material. When cloud temperatures are at the freezing point or below, and there is an ample supply of moisture in the air, ice crystals form around a core particle. As water vapor condenses and freezes, the complex pattern of a snowflake is born, one molecule at a time. A snowflake’s hexagonal shape is born at the atomic level. It is here that water molecules bond together into stable crystal structures. Snow can be further classified into six basic patterns called: Needles, columns, plates, columns capped with plates, dendrites, and stars. Dendrites are stars with attitude. Essentially, they are three-dimensional star crystals with branches growing on more than a single plane. Branches (or arms) connect randomly to a central structure. These complex shapes form under extremely cold conditions (-20 to -25 degrees C) when high levels of atmospheric moisture are present. Each type is the result of different atmospheric and temperature conditions within the cloud. 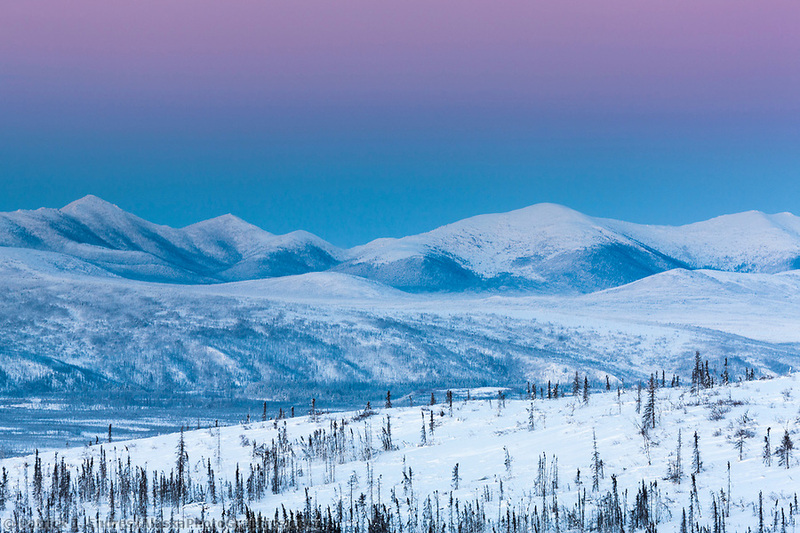 The First Nation peoples of the Arctic live in a land where the nuances of snow hold a great significance in daily life. 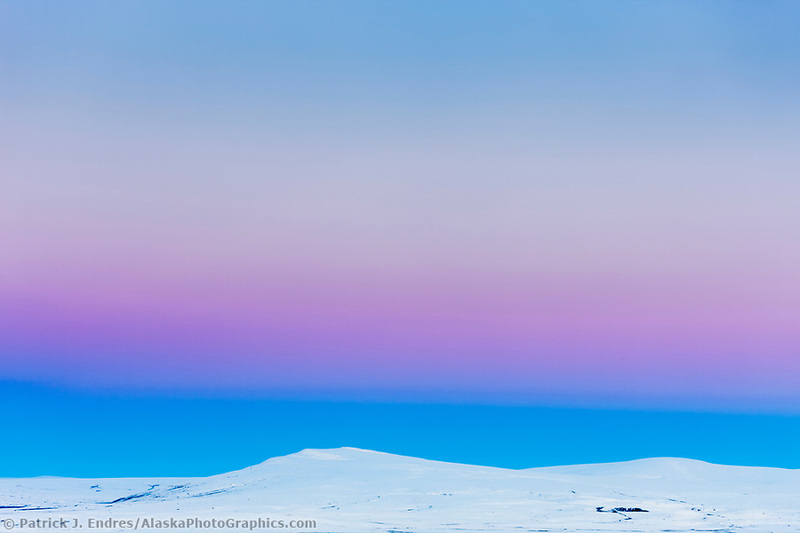 For this reason, their language has many names for the different types of snow. The following words are taken from the Eskimo Inupiat Dictionary.